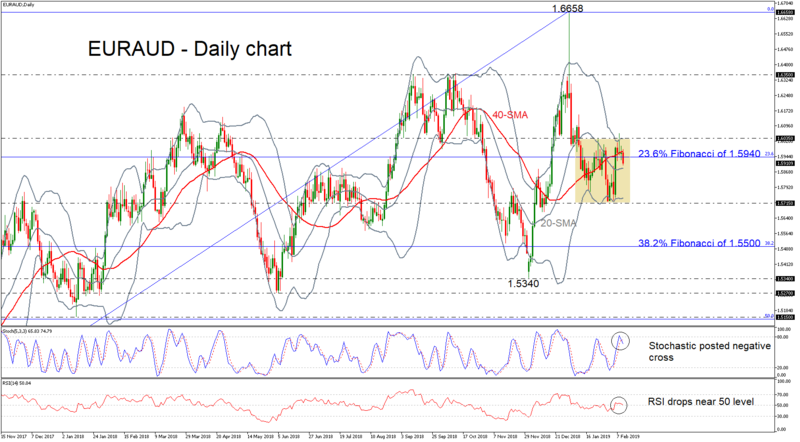 EUR/AUD surpasses 200-SMA after finding support at 1.5770. 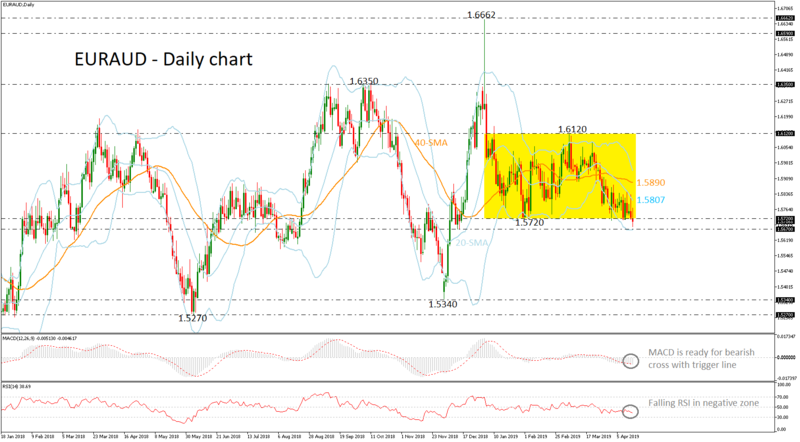 EUR/AUD retreated back to the 1.57 region after it found strong resistance on the almost 10-year high of 1.6658 but is currently challenging again the 23.6% Fibonacci level of the upward move from 1.3625 to 1.6658, which is around 1.5940. 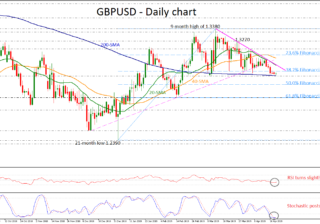 The bullish correction is confirmed by the technical indicators. 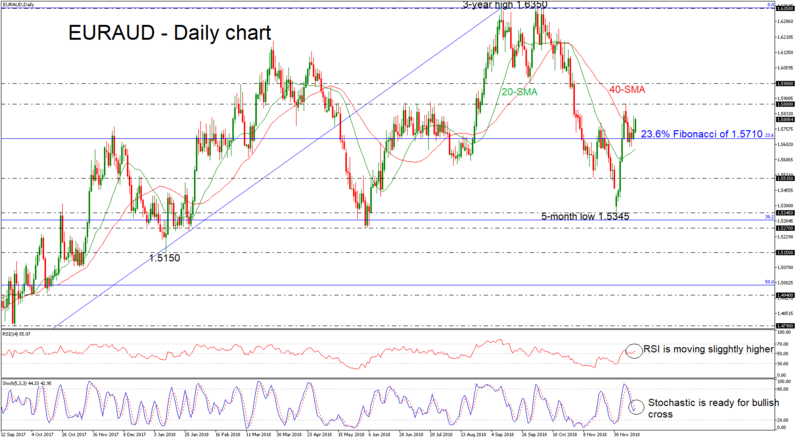 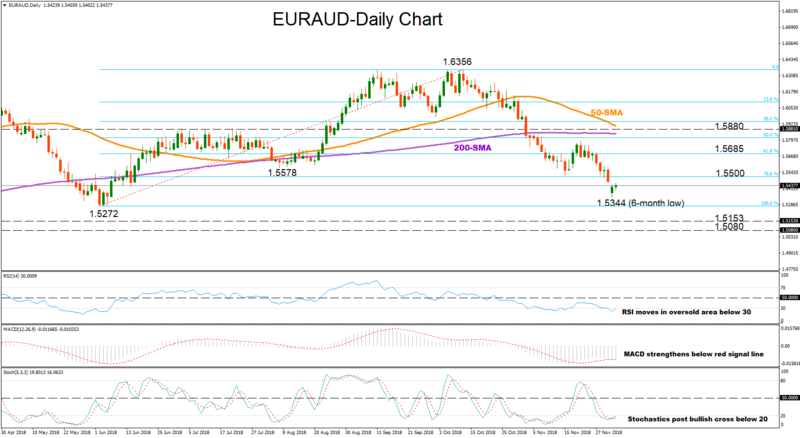 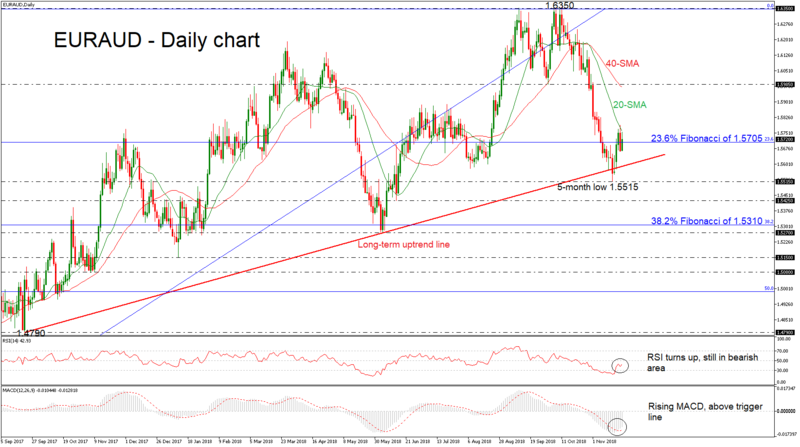 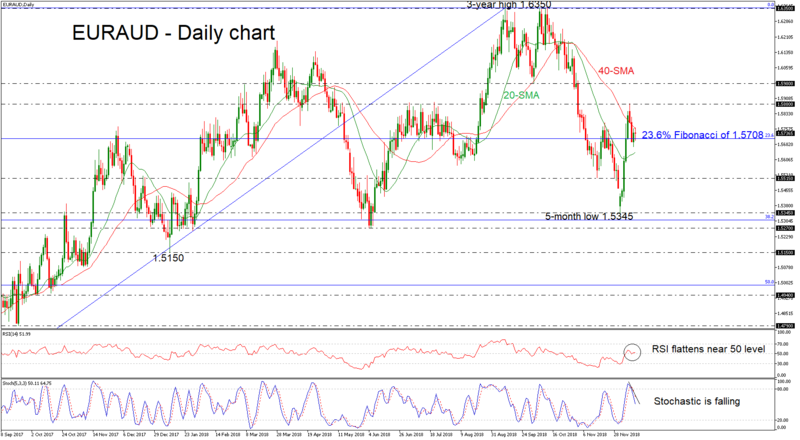 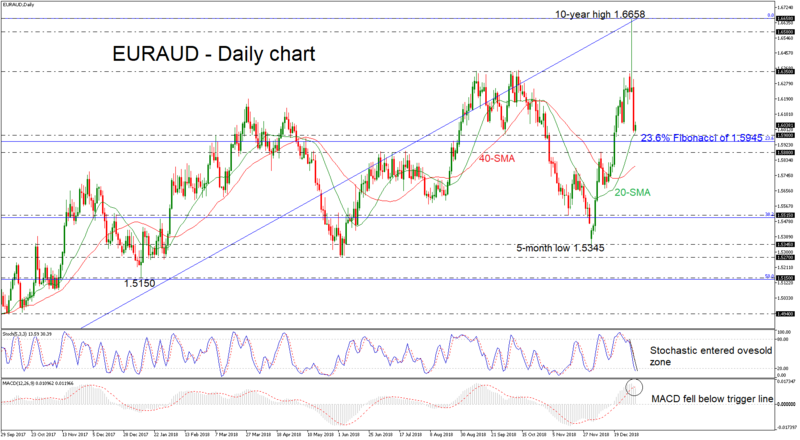 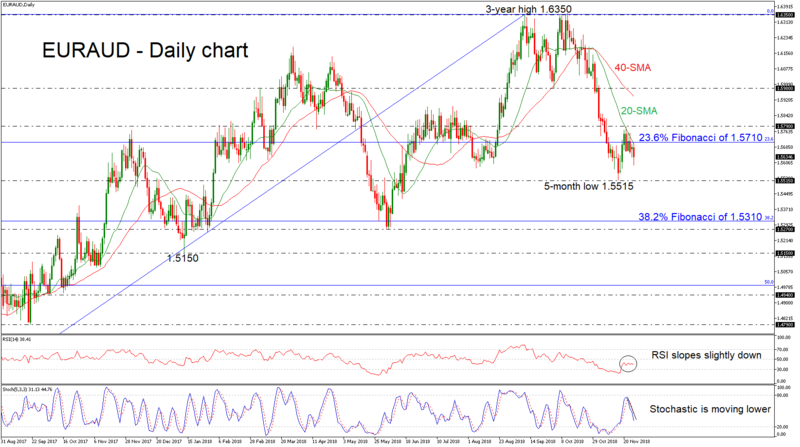 EUR/AUD loses ground in the near-term; indicators show signs for a downward move. 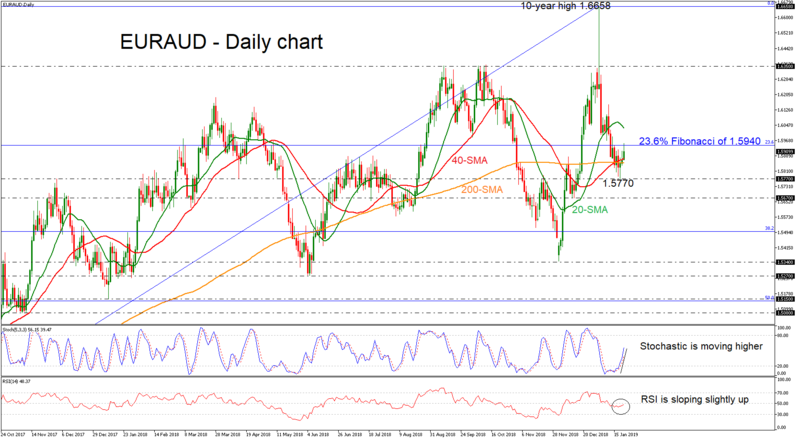 EUR/AUD is losing some ground after the sharp upside rollercoaster in the preceding week. 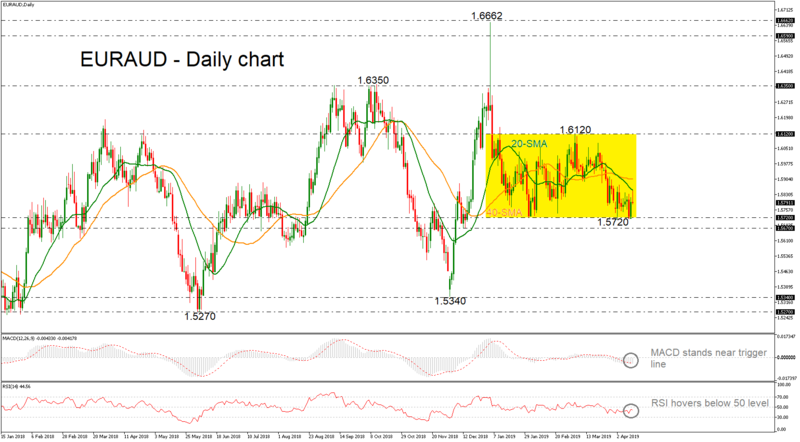 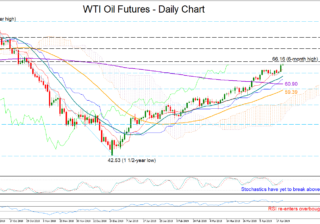 The price struggles below the 1.5880 resistance level and above the 23.6% Fibonacci retracement level of the up-leg from 1.3620 to 1.6350 around 1.5708.